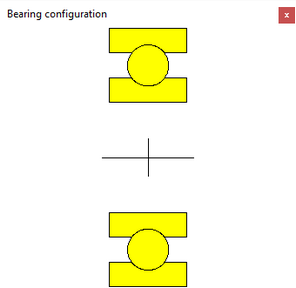 The bearing configuration shows the bearing rows and their position. It is mainly used together with the bearing configuration. The bearing inner and outer diameter have to be defined for generating this image.